We handcraft beautiful and usable digital experiences. Acacia's swimwear and resort apparel effortlessly mixes femininity with sophistication, and they needed their website to reflect this. 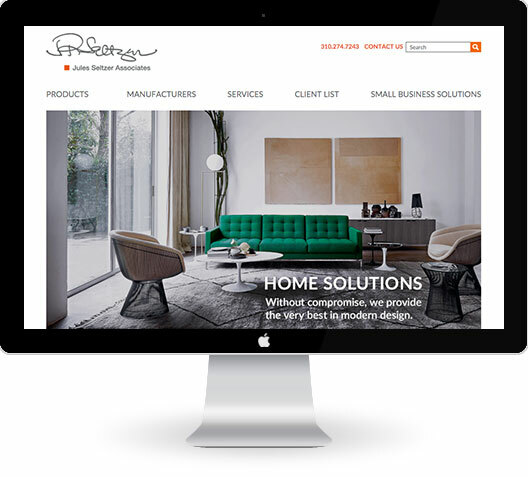 As their online sales grew, they also needed their website to be more user-friendly and robust. They contacted us to help them identify pain points in conversions and to perform ongoing site enhancements. Just time for their 10 year anniversary, P.F. 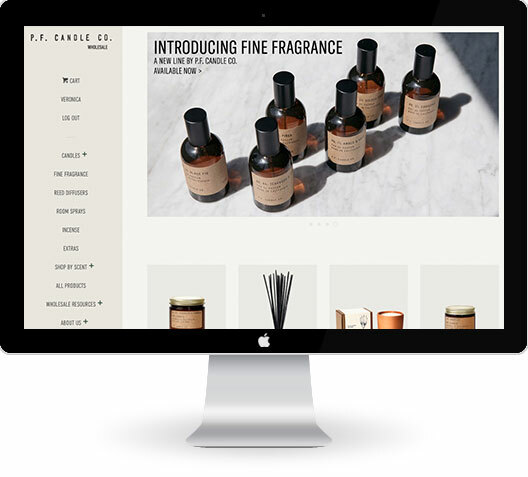 Candle Company needed a wholesale portal that was as appealing as their retail website. They called on Bahia Designs to create a fun and easy shopping experience for their customers. The solution we created has some unique functionality including the ability to add products to the cart in specific multiples in order to maximize space in their shipping containers. 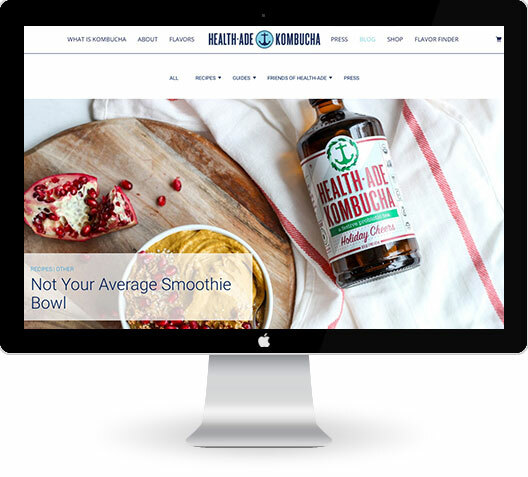 Health-Ade Kombucha was ready for a blog refresh, and being an innovative brand, they didn't want a standard layout. 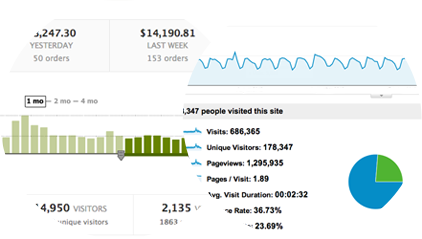 They wanted features that went beyond Shopify's out-of-the-box blogging capabilities. We created a system of categories and sub-categories as well as a custom layout featuring a large hero for each category. 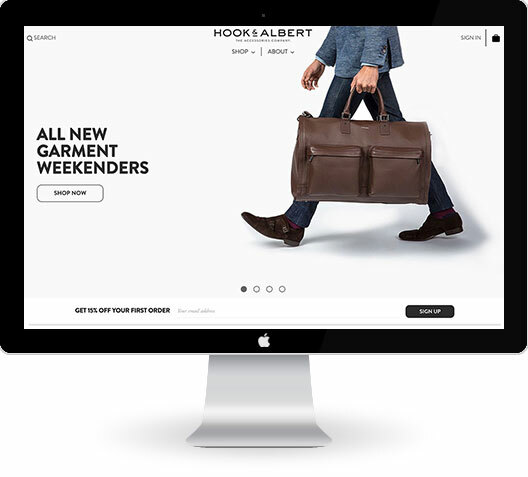 The luxury bags and accessory company Hook and Albert was ready for a site refresh and came to Bahia Designs to help them execute their vision. Together, we redesigned it from top to bottom, and also added some neat functionality to help customers more easily find what they need. Due to some backend logistics that didn't allow them to use variants for their products, we built an app that would allow customers to seamlessly switch between products as if they were variants. Seea, a premium women's bikini and surf suit brand, outgrew their old shop and came to us to help them re-vamp their site. They had a ton of great content, but needed a better way to show it all off. We consulted with them on the vital aspects of the navigation and on ways to optimize conversion. We customized a new template just in time for the biggest sale of the year--Black Friday. 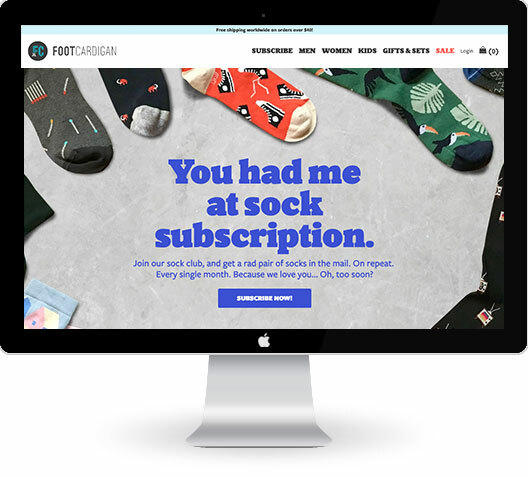 Shark Tank-funded Foot Cardigan's business was outgrowing their subscription service and hired us to upgrade not only the look and feel of their shopping experience, but also their back-end applications. 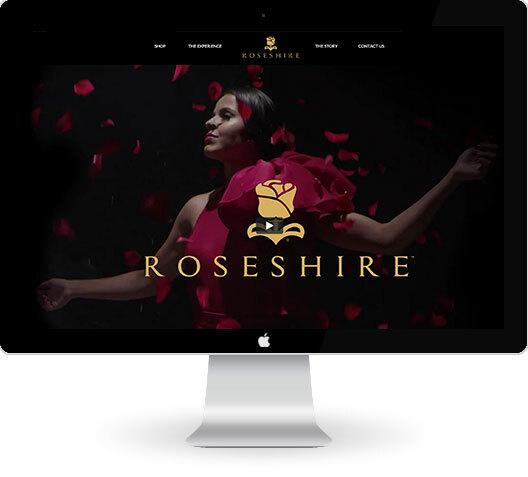 Roseshire's roses are delivered next day in stunning boxes that are sure to impress. 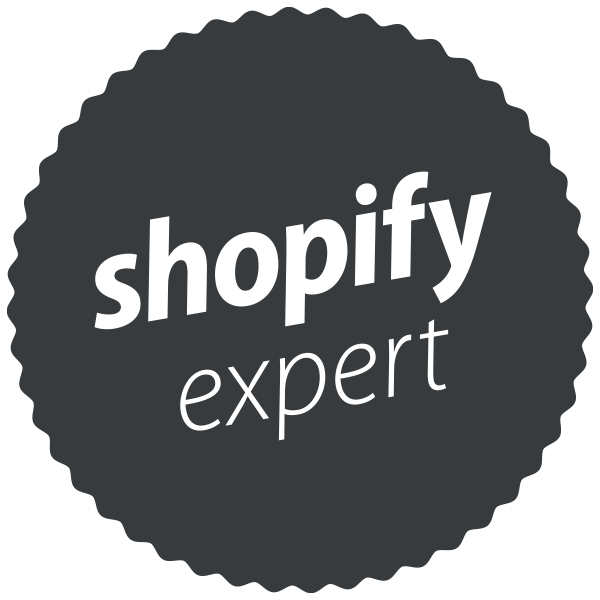 We helped them extend the built-in functions of Shopify by building a number of custom apps for their shop that would, for instance, limit the number of orders per delivery date. We also continually update the look and feel of their site for maximum conversion. Ethiopian-based SoleRebels reached out to us because of our reputation with Southern California lifestyle brands. Their hand-crafted, sustainable shoes whose soles are made out of recycled tires, creates jobs in the founder's hometown where there otherwise would be no opportunities. Forbes named the founder, Bethlehem Tilahun Alemu, one of the world's 100 most powerful women. The idea of a company founded and run by an African female entrepreneur that provides jobs not charity spoke to us and we jumped on board to lead all of this WFTO Fair Trade footwear company's e-commerce efforts. In 1993, two professional skateboarders, celebrated filmmaker Spike Jonze and their hostage started their own skateboarding company. We built a new e-commerce site that allowed them to sell direct to consumers for the first time. The concept was to offer multiple brands under the same roof in order to cross-promote them and to pass on shipping savings to consumers who often purchase from more than one brand. It was challenging to create a site that would encompass all the brands, as each has its own unique identity. The solution was to keep the store layout and design clean in order to allow the product to speak for itself. 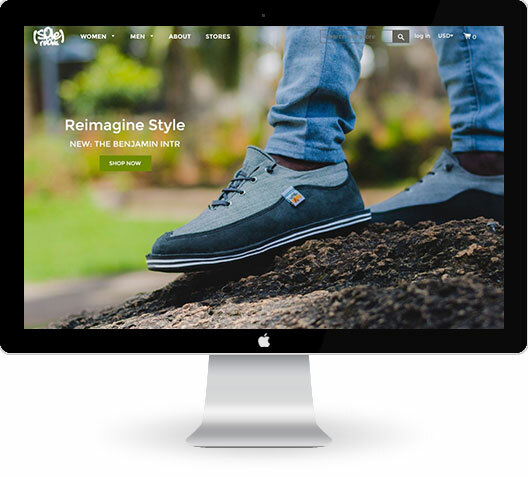 Phiten called Bahia Designs for our expertise in the action sports and outdoors industry, to update their online image and create a new e-commerce site that both their retail and wholesale customers would love. Well-known as the official Titanium Necklace™ for professional team sports like MLB®, NBA® and NFL®, they wanted to broaden their appeal beyond team sports to the individual and to celebrate "Everyday Adventures." We used the BigCommerce platform to craft a site that allowed them to replace not only their outdated and difficult to maintain retail site, but also their complicated wholesale portal. When Jules Seltzer, the authentic LA outpost for original classic design, outgrew their MagentoGo platform, they called on us to recommend a new one. Since Seltzer's clients range from retail to wholesale accounts, we migrated them to BigCommerce, which can handle this well. We also continue to update the look and feel of their site and offer consulting services for Search Engine Optimization. 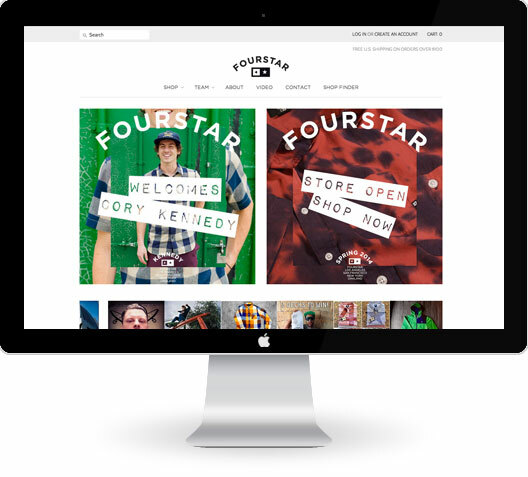 Fourstar Clothing recently celebrated their Fifteen Year Anniversary with a new website. They wanted to finally sell direct to consumers, and we had the pleasure to craft a clean, modern site on the Shopify e-commerce platform. After fifteen years in business, Fourstar continues innovating and leading trends in street wear. 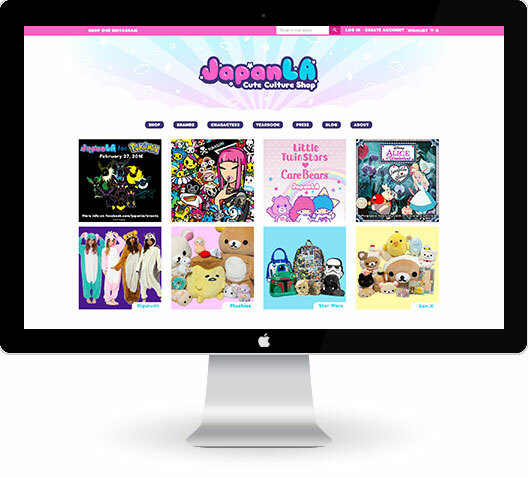 JapanLA, a lifestyle brand that caters to adults who love "kawaii" or "cute" character goods, was operating with an outdated, not mobile-friendly e-commerce site. We took them off an ancient platform and brought them over to Shopify. The main challenge was making it easy to navigate, as their products span many different categories and sometimes customers may recognize a character by their image but not know their name. 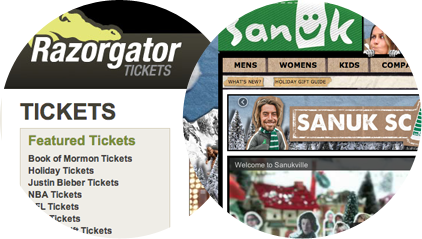 We came up with a secondary visual navigation in addition to the more traditional mega menu as a solution. When Crailtap.com first launched over ten years ago, it was the first aggregate news site in the skateboarding industry. As the magazine industry focused their energies online, Crailtap needed to redefine itself. We relaunched Crailtap.com as a blog, focusing on branded videos and editorial content. In 1993, two professional skateboarders and two of their friends, including filmmaker Spike Jonze, started their own skateboarding company. Twenty years later, Girl Skateboards is still owned and run by skaters and is a global leader in their industry. And no, they don't make skateboards for girls. The brand name is just an example of their dry sense of humor. We were stoked to work with leading beach footwear brand, Sanuk. Their motto, "Smile, pass it on!" is contagious. They recently sold for $120 million to Deckers. Just another good reason to smile. 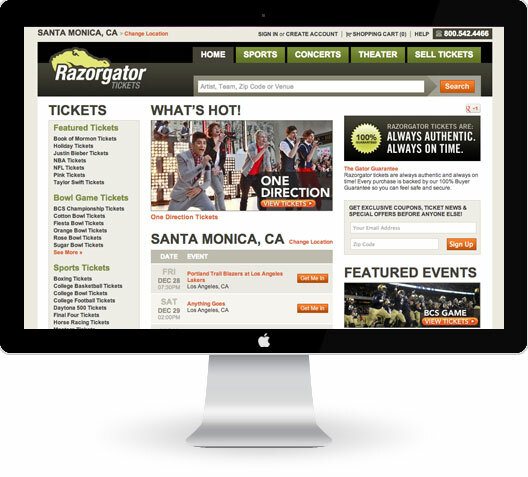 When ticket reseller Razorgator implemented a multi-million dollar redesign, we worked as part of the team to give the site a much needed makeover. 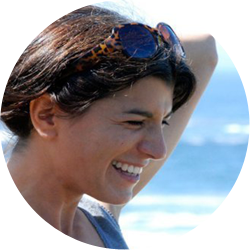 Veronica Lemcoff (principal) was born in Buenos Aires, Argentina. As a child, she spent the summers exploring her grandfather's ranch in the flat, grassy farmlands known as las pampas near the city of Bahia Blanca. Bahia is the Spanish word for "bay." The name Bahia Designs recalls a special place where imagination reigns and makes anything possible. 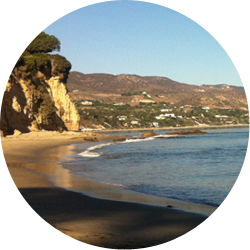 We are located in sunny Santa Monica, California where the ocean meets the sand and Boston, Massachusetts. Say hi!